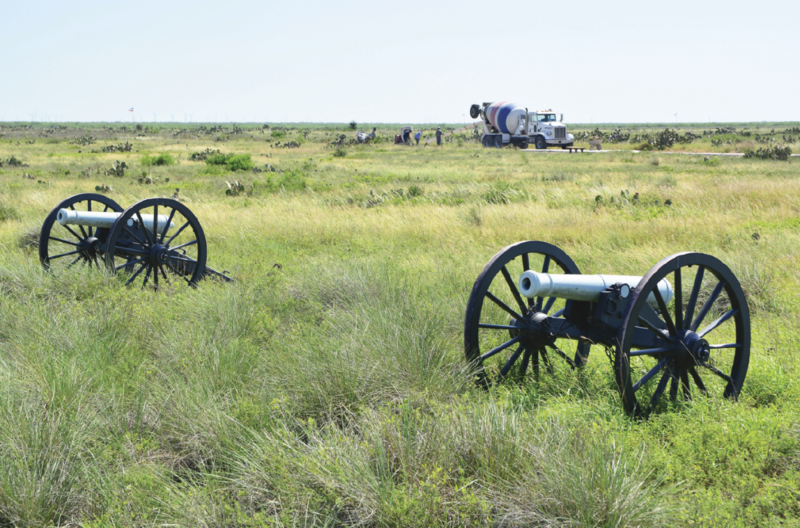 BROWNSVILLE — A new U.S. Line Trail is set to open in about a week after a month and a half of construction work at the Palo Alto National Battlefield Historical Park. An aging trail composed of asphalt was crumbling into its component parts, making it difficult to use for pedestrians or people in wheelchairs, Doug Murphy, director of operations, said yesterday. “We tried to get all the trails here in concrete,” he said. “We put in asphalt trails years ago and the soil out here and the heat, they just don’t hold up. We had the two last trails, the U.S. Line Trail and the Mexican Line Trail. and I had actually put a priority on the Mexican Line Trail because it was in a little bit worse shape. 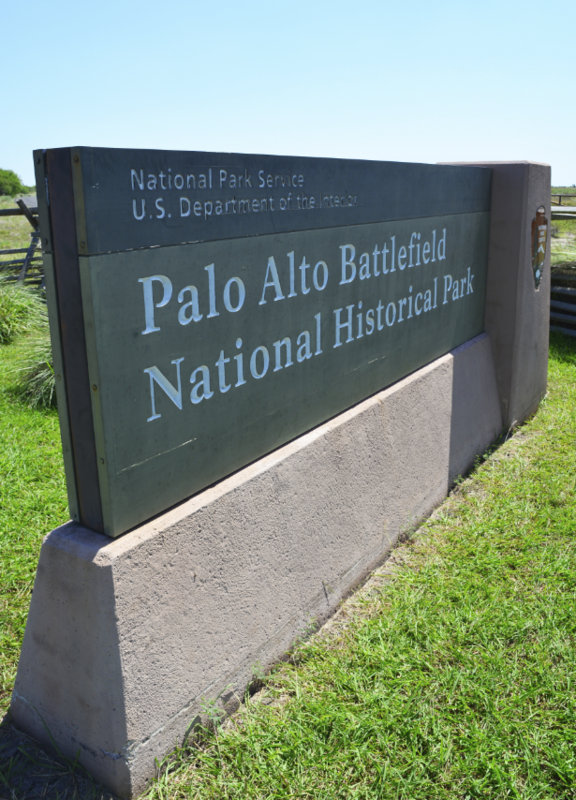 Palo Alto Battlefield National Historical Park preserves some of the site of the Battle of Palo Alto on May 8, 1846. This was the first major conflict in a border dispute that soon precipitated the Mexican-American War. The National Parks Service site portrays the battle and the war from the perspectives of both nations. “They were pretty much done last week and then the contractor — he’s a good contractor — was looking at the concrete work and he wasn’t happy with it,” Murphy said. “He took out a bunch of concrete and they’re re-pouring it. So I think he ought to be done with re-pouring by this Wednesday. He said he envisions extending the trail system but with rustic trails instead of finished concrete. Many national battlefields are being pressured by increasing development around their perimeters and, while the area where the battlefield sits on the road from Brownsville to Los Fresnos is mostly open land, it may not stay that way. Although Palo Alto is on a much smaller scale than, say, Gettysburg, the same principles of historic preservation exist. That battlefield is part of Jean Lafitte National Historic Park and Preserve south of New Orleans, and it commemorates the 1815 Battle of New Orleans. Toward that end, Murphy said the park is seeking to add more land to its portfolio. DIRECTIONS — The park is located on Brownsville’s north side. It is just north of the intersection of FM 1847 (Paredes Line Road) and FM 511/FM 550. You can avoid the toll road by traveling to Los Fresnos on FM 100 and turning right on Arroyo Drive, which turns into Paredes Line Road. HOURS — The park is open daily from 8 a.m. to 5 p.m. The park’s busy season runs from November through May. During the month of May, the visitor center and trails are often busy with school field trips in the mornings. Park trails close at 4:30 p.m. All gates are locked at 5 p.m.